I completely missed the April Stamp of the Month blog hop this month... I misplaced my project before I ever took the photo and then I was out of town the entire weekend leading up to posting the card... so I never had a chance to finish looking... I was sooo bummed! But! I found it... finally. Supplies Used: Ariana Paper Pack, Outdoor denim ink, Balloon Talk stamp of the month, Dots embossing folder, pink glitter gems. 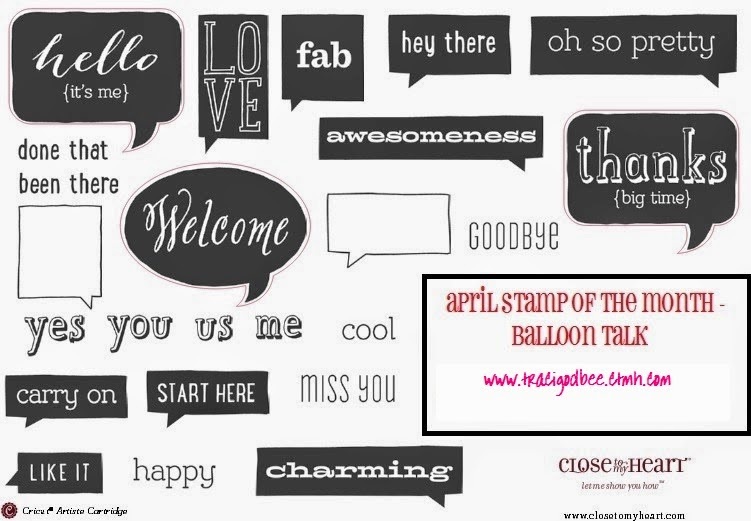 In April you can purchase Balloon Talk for $17.95 OR add it to an order of $50 or more for only $5. LOVE IT! Sorry my art is late but hope you think it was worth the wait!